The Zika virus has many people concerned about epidemic outbreaks across the world. Recently, a person I know posted that they were concerned with the number of reported cases of Zika in Chicago. Being in the Midwest, it seemed to her that the spread of the disease happening, and that we should be frightened for our lives. Even at a recent school board meeting, the topic of the Zika virus came up as something that schools needed to address. The fear of Zika is growing, but is it justified? My school district is being asked to have a plan regarding protection for the Zika virus. As a result, information was presented to the school board on the Zika virus showing that the fear has been blown out of proportion to the risk. This is not to discount that there can be severe issues with Zika; there can be. The fear around this, however, needs to be put into perspective. First, the Zika virus is spread primarily through mosquitoes, and primarily by the Aedes species of mosquitoes. It cannot be transmitted from person to person with normal contact, so if someone in Chicago has the virus, others in Chicago don’t need to ostracize that person. Being that the Aedes mosquitoes are primarily found in the tropics and very southern parts of the United States, those of us in the Midwest have very little to fear. In fact, while there have been people who have traveled outside of the United States that have contracted the virus, until recently there have not been any reports of anyone getting Zika while in the United States. Recently, a case in Miami (the hotter, lower areas of the US) was reported. If you were to get bitten by an Aedes mosquito and get the Zika virus, there is about an 80% chance you wouldn’t even know it. Of those that do get the virus, 80% show no symptoms. Even those that do show symptoms generally don’t get sick enough to go to the hospital. The general symptoms include fever, rash, joint pain, and red eye. Some people also get muscle pains or headaches. While the symptoms can last for a few days up to a week, the virus itself last about a week for most people, although it can remain longer. The Zika virus is real. For those of us in the Midwest, the risk of infection is near zero unless you travel out of the country or to the very southern regions. With such a near zero risk, what should be feared more than the Zika is that there are people who will sensationalize a topic to levels of causing excessive fear as well push schools create plans for protective measures on something that is unlikely to ever happen. The state of Indiana has even allocated $3.6 million in funding to protect Hoosiers from the Zika virus over the next five years. It is amazing how much money fear can drive. While the Zika virus is currently low risk, the West Niles virus is one that does happen in the Midwest. 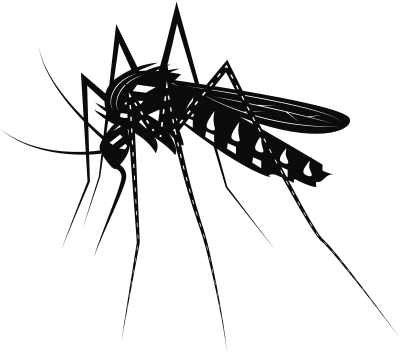 This post is based on publicly available information, as I’m definitely not a mosquito expert! Mosquito-borne Zika cases have been found in two neighborhoods of Miami-Dade County. These are the first areas in the US, although other very southern states have potential exposure.